As being an SEO professional, it’s still not easy for me to write about the future scope of SEO in India because many individuals, experts, and professionals working in SEO industry might disagree with the figures, facts, and salaries mentioned in this article. But, they surely would agree that SEO should be on the top-list of job-seekers and it’s a career of life-long learning. – What is SEO (Search Engine Optimization)? SEO – Search Engine Optimizer or Search Engine Spammer? Before you move ahead, clear your mind about SEO techniques and professionals. SEO professionals are not spammers, cyber criminals or online salesman and Search Engine Optimization is not a scammy strategy. I wanted to take a minute and talk a little bit about search engine optimization and spam, and answer the question does google consider SEO to be spam. And the answer is – NO. We don’t consider SEO to be spam. I just wanted to dispel that misconception that some people think Google thinks all SEO spam and that’s definitely not the case. SEO, short for Search Engine Optimization is one of the digital marketing activities that help you better optimize and rank your website in search engines such as Google, Bing and help users find your website easily. The ‘Optimization’ can take many forms such as your on-site content and web page optimization or your website backlink optimization. 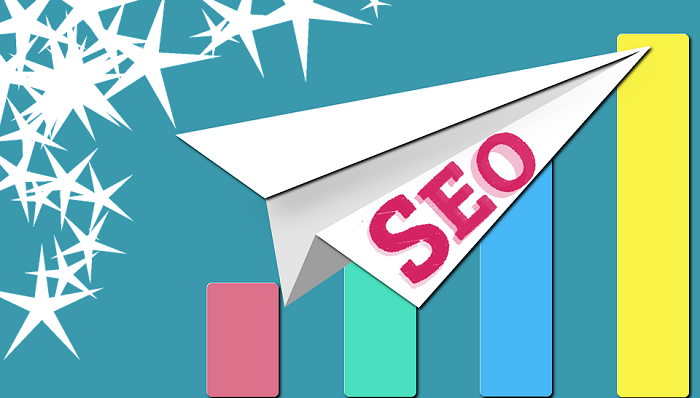 SEOs (Search Engine Optimizer) not only aims to rank better websites, drive quality traffic but also help build brand visibility in the online world. The minimum qualification for becoming an SEO in a good company requires graduation or a diploma course in digital marketing. However, to work in SEO, you don’t need a degree or higher education in the most cases because it’s something that requires a diverse skill set and cannot be defined by the traditional examinations. Role and salary are always the cause for celebration to everyone doing or wanted to have the job. Here I’ve listed some job titles and the respective salary range that are common to the SEO world. Note that the salary can vary from geography, experience and the demands of a company. All salaries are per month and in Indian Rupees (INR). The scope of SEO in India is very broad and have a very bright future. According to Times of India, digital marketing areas such as Search Engine Optimization, Social Media, and Analytics will create more than 1.5 Lakh jobs with the salary range of Rs 4.5-5.5 Lakh by 2016 and in the coming years. India is now the fastest growing economy and has a bright future in terms of employment generation and business growth. 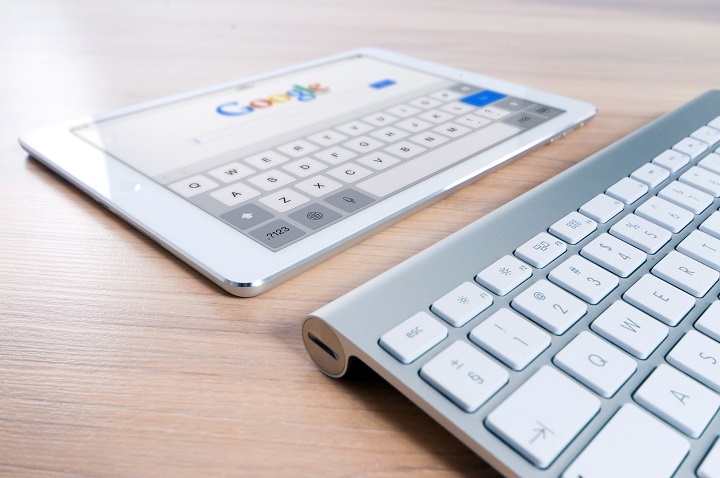 Companies are now realizing the potential of SEOs for their business and the how these professionals can play a crucial role in decision-making. Most people argue that SEO field is dying since Google has a love affair with content marketing but, actually, that’s not the case. In reality, they work in collaboration. 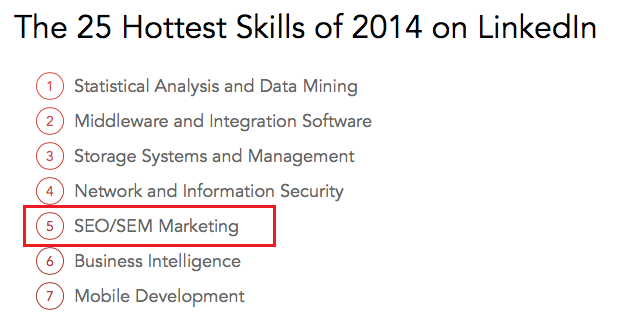 According to the LinkedIn report, SEO/SEM was the hottest skill that got people hired in 2014. So why companies need SEO professionals? All they need is just a website to be in the digital world. Right? The future of search is uncertain and rapidly changing. For example, Google says more searches take place on mobile devices than on computers. The businesses who want to remain competitive on the web and require attention and placement in organic search, can’t ignore the importance of SEOs because those are the professionals who have experience and knowledge to achieve these business goals. Digital marketing brings many freelancing opportunities. According to the Elance report, sales and marketing category offers 70% of freelancing jobs, and India ranks #2 in doing freelancing jobs after the United States. The stats shows digital marketing skills are favorite among the freelancer community. So what options do you have to earn good money as a freelancer in SEO or digital marketing? You can start freelancing in social media, content writing, link building, local listing, SEO, copywriting, Google Analytics, Google Adwords and lead generation. How to Become a “Modern SEO” Expert? So, what if you are going to pursue your career as an SEO? 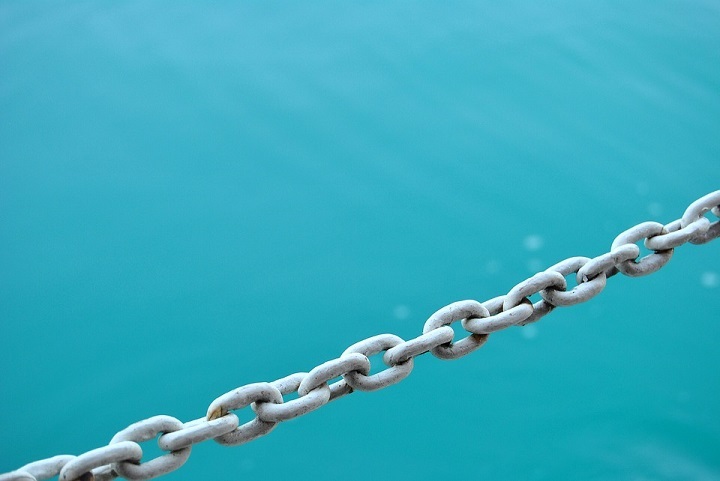 Is just becoming an SEO is enough? And what skill set do you need to increase the chances of getting the higher salary? These are some of the questions that you already have in your mind or would ask later in your career. In future, being a ‘Good’ SEO is not enough, you need to adapt with the changing search engine technologies, customer behavior, business processes and goals. The introduction of Google’s Hummingbird update has made a significant industry-shifting change in SEO world. The latest updates such as Mobilegeddon, Panda, and Penguin also have made SEOs maintain the quality and integrity in everything they do online for their website. Your turn, what do think about the facts, numbers, and opinion I listed above? Anything to add? I’d love to hear you all in the comments. Great article! I’m looking for the job in online marketing field where I want to work on social media as well along with SEO. I’m confused about these two, what profile should I choose aa career – SEO or Social Media? It really depends on your interest. Social media is a good choice but I’m not sure it’s not what someone would want to do solely. My advice is to focus on other skills as well such as SEO and analytics to give yourself a broader scope of skills and career opportunities. Start your own website to practice those things. According to LinkedIn’s latest report, SEO dropped five spots from #4 to #9 among the top skills that can help you take a job in 2017 and beyond. It shows the demand for seo/sem professional is slowing, don’t you think? Good catch! According to LinkedIn, the demand for marketing professional is slowing because the supply of people with marketing skills has caught up with employers’ demand for people with marketing skills. However, SEO/SEM demand is still strong in countries such as Australia, Singapore, Germany, Netherlands, and India. SEO is expanding into a common skill among different roles in the modern businesses that can be a reason for the slow demand. It might sound alarming for those who are going to start a career in the SEO/SEM field, and I hope it might not be as bad as it sounds. The 2015’s report from LinkedIn highlights that SEO/SEM is one of the top skills that can get you hired in 2016. Great post Deepanshu! I’m looking for a job in online marketing. Is there any certification or training that can help me getting a job or in my future? Hi Rohan, thanks for commenting. I personally believe that certifications play an important role in developing one’s skill set and technical perspective. The addition of certifications on your resume will put you one step ahead of other applicants and get the better salary. Thanks for these resources. Does Google provide any certification in online marketing world especially in SEO? Google does offer certification for paid advertisement i.e. AdWords, and web analytics i.e. Analytics. For SEO, Google does not provide any certification. 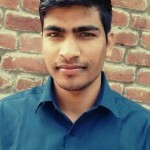 Hi Mohit, thanks for your comment. If you are new to SEO and more interested in learning, I would recommend applying to a specialized SEO agency as opposed to MNCs. I’m not saying that MNC don’t have SEO in place or provide the growth and learning but they provide you a limited scope of learning and trying out new things and interconnected fields. You’ll be given less/no exposure to other marketing things such as Social Media, Content, PR etc. in MNCs. However, the benefits packages such as salary, insurance, health etc. are smaller as compared to MNCs. 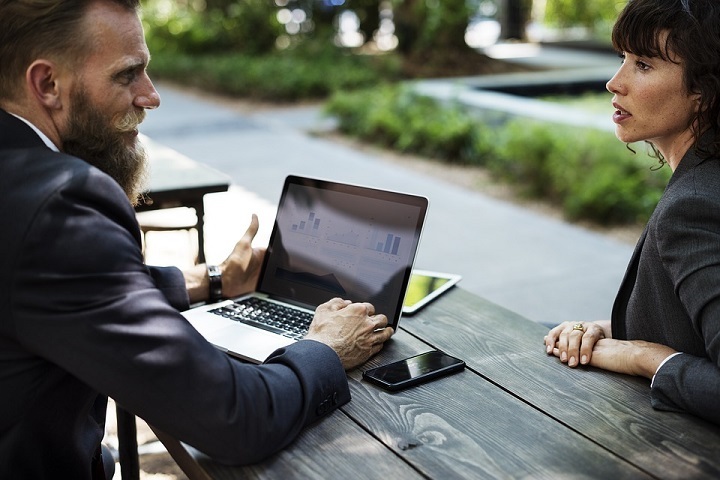 Before joining any agency or MNC, speak to them and ask questions related to your role, training, and support you’ll receive. I’m working in SEO for a company located in Ludhiana since 2011 and have a salary of 15000/month. There is no growth in this industry. Business owners don’t take SEOs seriously and don’t want to invest in. There is actually no need for SEO professionals. I’m going to change my career to Java development. Thanks Deepak for your comment. As I already discussed that SEO salary varies from location to location, company to company and according to your skills and job titles. Working in cities like Delhi, Gurgaon, Banglore, Mumbai, Pune, Noida and other NCR areas, offers more salary compared to small cities such as Ludhiana. Companies are still spending a lot of money in their marketing efforts. And they are ready to pay a good amount to those people who (SEO professionals) can help them adapt to the changes of online world or search engines. I’ve just started my career in SEO field. I was looking for the resources on Google that can help rich my SEO skills and I found your blog. Great work! Can you recommend few informative resources or blogs that can help me in doing and keeping myself up to date in SEO? 9. My Personal Blog too! Thanks Ritesh for your comment. But it depends on your ability to implement things, solve problems, communicate with clients and hard work that will help you rise up your position in a company to earn more. Salary, Trust, and Position – are the things that are gained with the time and in the situation. Nice article ! Your thought about future of SEO in India is right. Your article is really informative and attracts people to learn SEO because beginner to professional SEO has great opportunity to earn. I have been doing SEO for last 10 years and SEO industry is doomed. It is the time for for marketing automation and artificial intelligence. SEO is a very low budget profession right now, foreign investors don’t like to invest in SEO’s any more. If you are depending on local market, I’m sorry to say Indian market is not up to that financial standard. How many local people will invest 25k /monthly for SEO. Instead people will invest in laptops and mobile phones. Great post Deepanshu! Can you please recommend a good SEO book for beginners that cover all aspects of search engine optimization? Books are a great way to acquire knowledge. They can really help you understand the concept and idea. I personally believe, in SEO world doing things is the best to learn because of dynamic nature of SEO. However, I would recommend to start with the Moz’s Beginner Guide to SEO and The Art of SEO. Interesting article! I’m looking for an SEO company for my startup website. Can you please tell me which company is best for SEO in India? Currently, I’m living in Delhi-NCR. There is a lot of discussion on SEO on Internet. Some say it a good career and some bad. I’m really happy and satisfied with the information in this post. But can’t find your tips on how to start a career in seo, especially in India. What I believe, if you are sure about SEO as your career choice, the first thing that you should know about its scope, opportunities, and role. The second thing is how to educate yourself and try and experiment those things. Do you want to do it yourself or want to work with some experts in a team? The third thing is to network with people of same interest and join their group to learn, find new opportunities and showcase your skills and expertise. Hi, what do you think what will be the scope of seo in 2019 in India? There is no doubt that E-commerce and internet is a growing trend in India. This new economy is giving birth to new job titles such as digital marketers, outreach experts, data analyst, UI/UX developers etc. Another major shift that is happening right now is digital transformation of everyday services such as food delivery, transport, and many others. Government is also taking initiative under their ‘Digital India’ program aimed at the mobile and digital connectivity of services for people that is expected to create job opportunities for Indians. I believe 2019 and the coming years are going to be a golden era for Digital Marketing, especially SEO field.